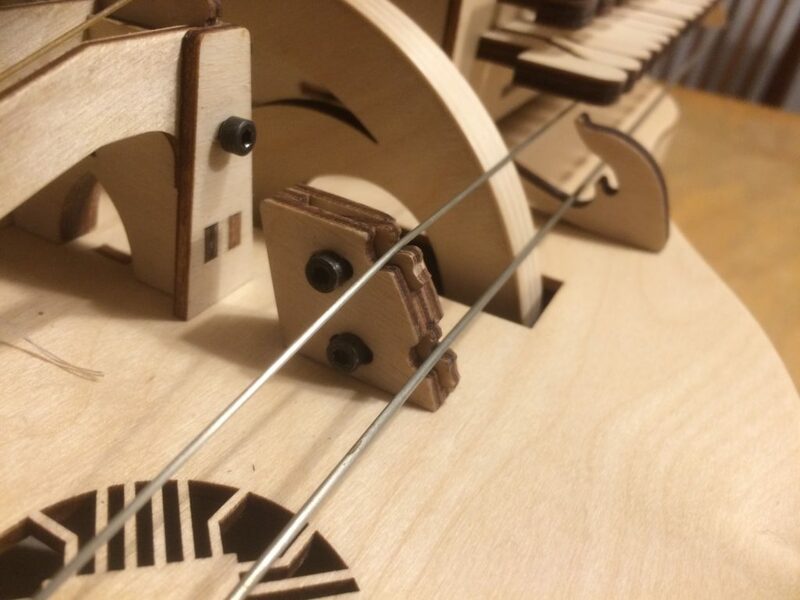 Adding more strings is not the only delta between v5 and v6: all the experience of the past year have gone into design improvements. 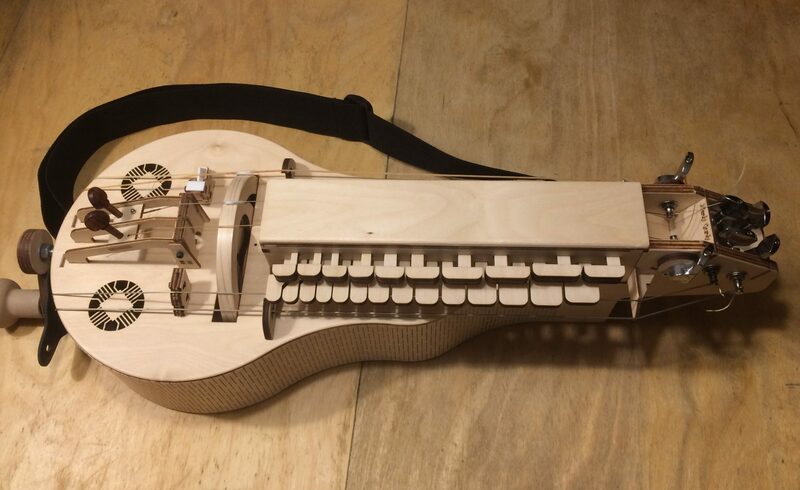 The trumpet bridges have been converted to printed parts, to bring the design closer to a traditional model. 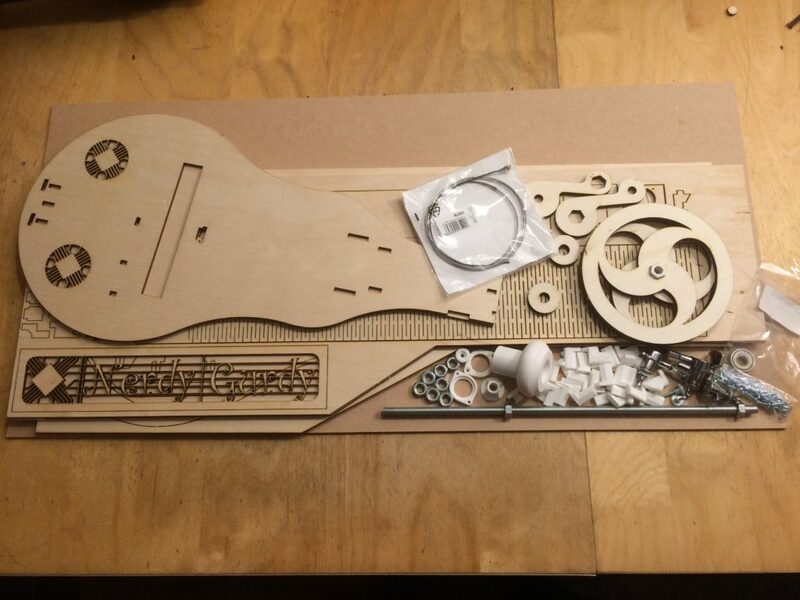 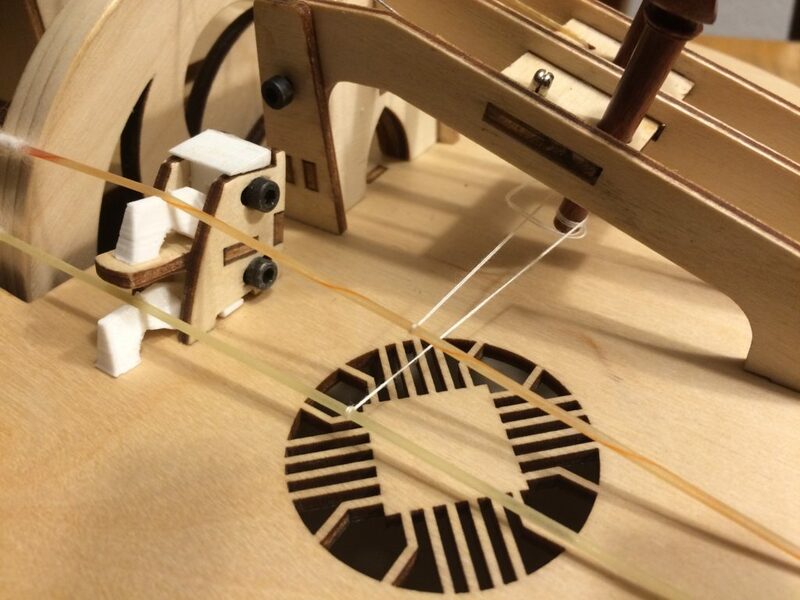 You can even cut your own buzzing bridges from wood, if that’s what you fancy. 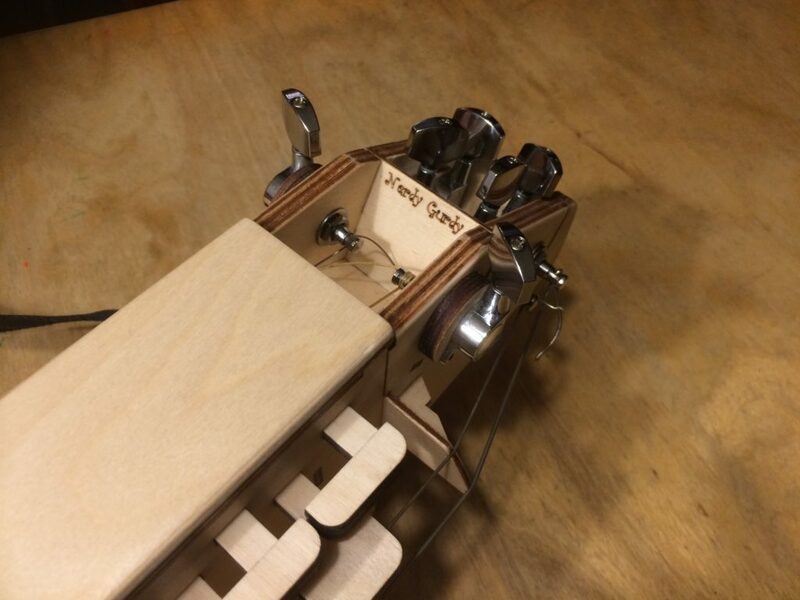 The drone mutes have been placed closer to the strings, so that they keep their tuning better. 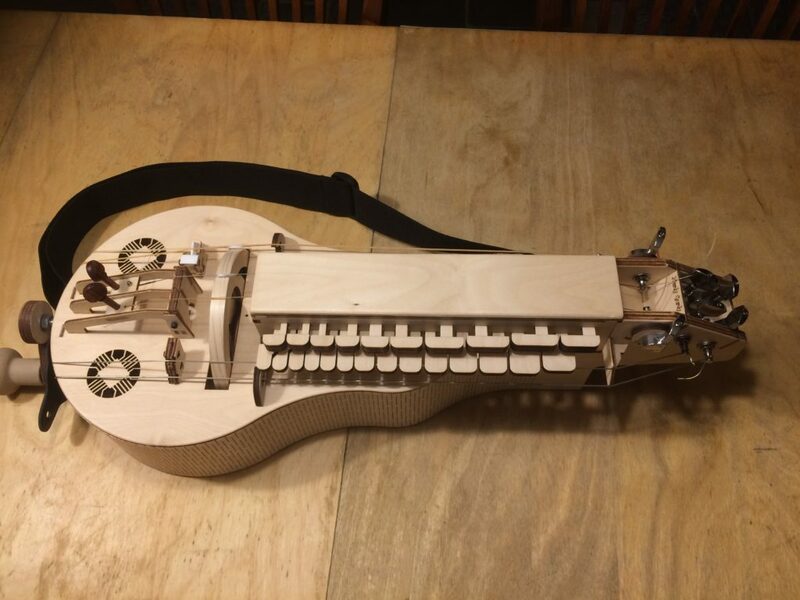 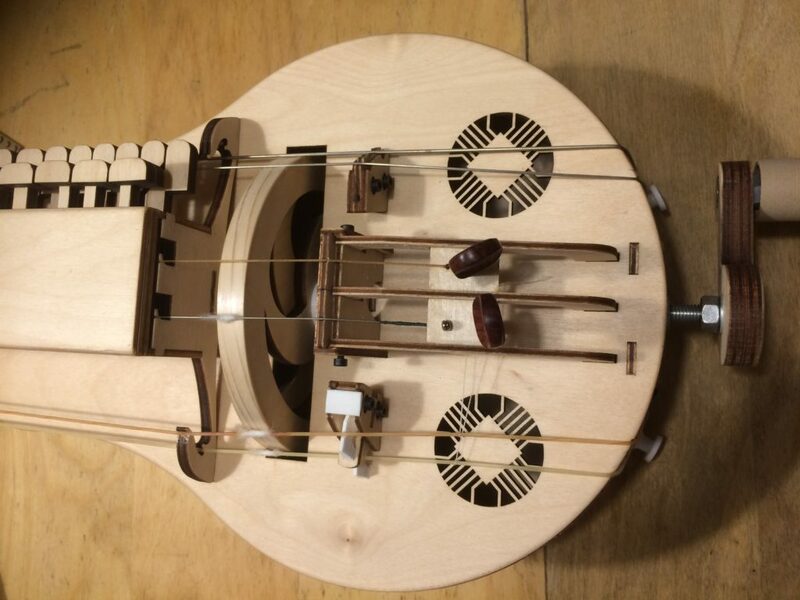 The force of each string on the wheel is adjustable, and all bridge pieces are are replaceable.